Venture is a program for Catholic freshmen who are seeking to grow closer to Christ and connect with a community. The experience starts with a once in a lifetime retreat that will set you on fire and fill your days with joy and meaning. Then, in Venture Ahead, students develop that encounter with Christ and others into lasting friendships. Finally, they are called to serve and help others come to know Christ in the same way they have. Are you an incoming Catholic Freshman? Do you want to form deep and meaningful friendships in your first few weeks of college? Are you interested in integrating your faith into your college life? If you answered yes to any of these questions, Venture is for you! Join us for an unforgettable weekend at the start of your college experience! You don't just have to take our word for it: read the testimonies of those who have gone before. 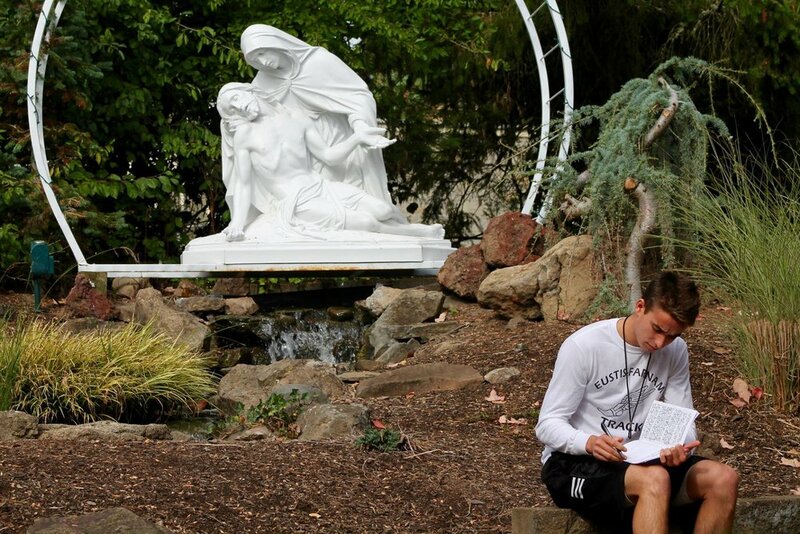 Venture is a 3-day retreat including talks, small groups, confession, Adoration, and the Holy Mass. Are you an incoming Catholic freshman for the 2019-2020 school year? Fill out our new student interest form and we’ll get in touch with you about the Venture Retreat. Have questions about Venture? Contact Us.